Preheat oven to 425°F. 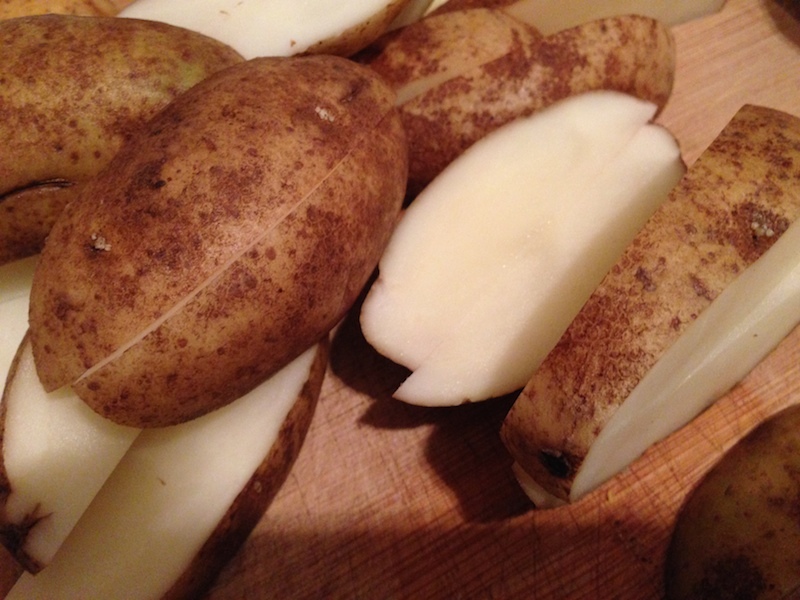 Wash and scrub potatoes (no need to peel!) and cut into 1/4 to 1/2-inch sticks, depending how thick you like your fries. 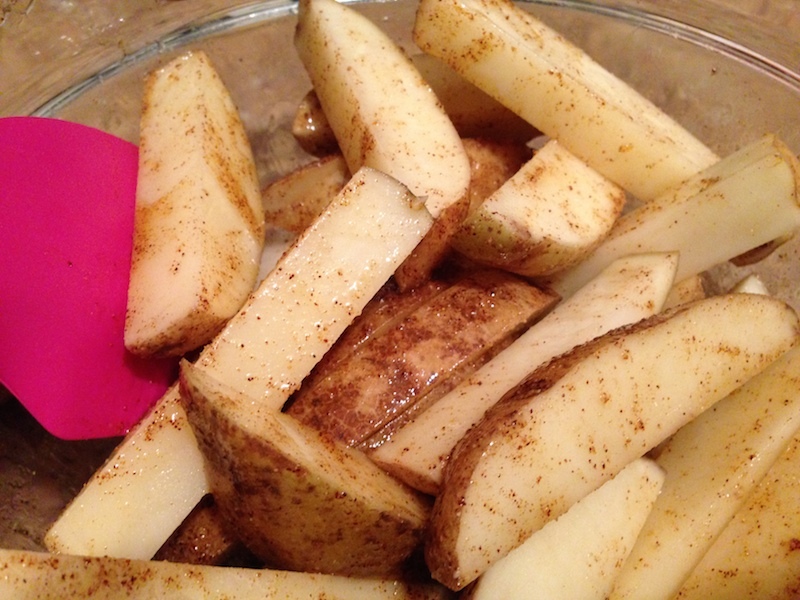 In a medium bowl, mix together olive oil, garlic and chili powders. Add fries to bowl and using a spatula, stir to coat all fries evenly. Spread fries onto a rimmed baking dish fitted with a slotted rack (this prevents fries from sticking to the baking sheet. If you don’t have a metal rack, make sure to oil baking sheet generously!). 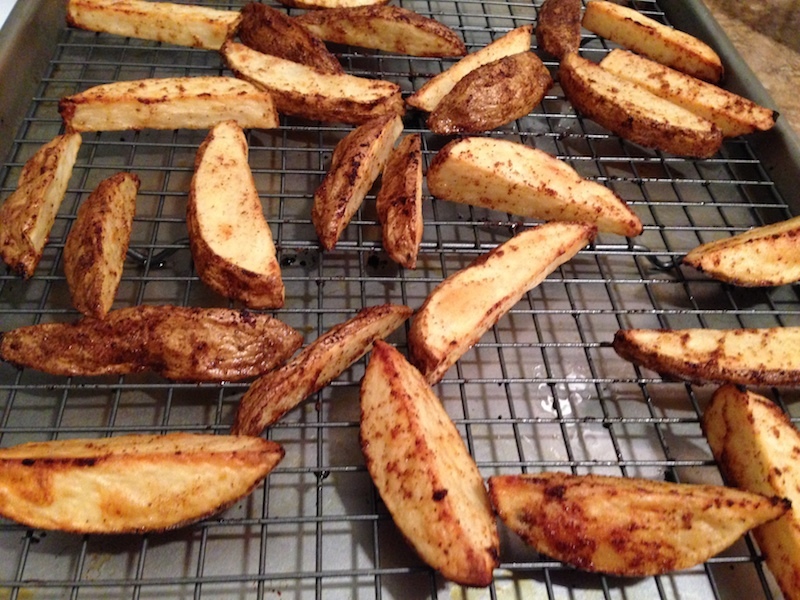 Bake fries for 30-35 minutes until tender and slightly crisped. Serve with ketchup, herbed mayo or your favorite dipping sauce. Busy times are hard to go through, hang in there, and it will get better, it always does! Thanks for you kind words Sally and so sorry I’m only responding now. Some how I skipped over things. Life is thankfully becoming more balanced and the bright spring weather certainly doesn’t hurt! I hope you enjoyed your choice this month – and hope things settle down for you soon. I totally understand the stressful life situation making things like blogging fall to the wayside. Hopefully it gets better soon! Take a break when you need it. Take care of yourself, and come back renewed when you are good and ready. We will be here waiting for you! Love making baked fries!! These ones look awesome! I love baked fries and really love the spicy dip! Thanks Suzanne. I can’t remember when I first discovered fries and mayo but now can’t live without them! 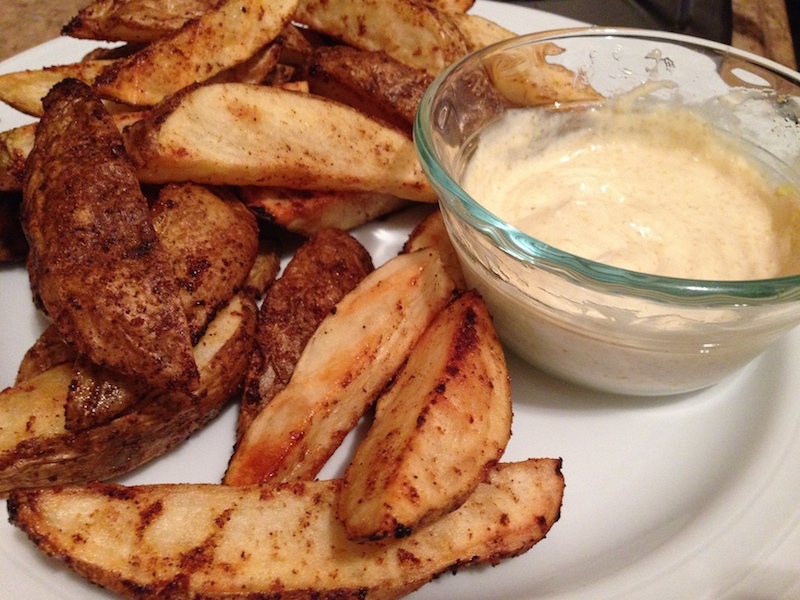 Homemade fries are so good – I love how thick yours are! Great pick – happy belated reveal day! Mmmm, steak fries…these look amazing! Oh, yeah, these look great. Delicious with the Sunday roast chicken I’m thinking. I totally have to give these fries a try! YUM! They are pretty great. And perfect for spring burger grilling!